People are often very excited to see the results of their DNA test. Later, some people become concerned about what the DNA company will share. Fortunately, there are ways to revoke research consent from DNA testing companies. Researchers who conduct analyses will have access to your genetic and other personal information, but not to your name, contact, or credit card information. 23andMe researchers who contact you will have access to names and contact information, but only to very limited genetic or other personal information. 23andMe may share some data with external research partners and scientific publications. The data will be summarized across enough customers to minimize the chance that your personal information will be exposed. 23AndMe may need to share the information with other agencies as required by law. You can withdraw from 23andMe Research at any time. Any of your data that have already been entered into a study cannot be withdrawn, but your data will not be included in studies that start more than 30 days after you withdraw. (It may take up to 30 days to withdraw your information after you withdraw your consent). Living DNA has a Global Research Participant Agreement. It states that your raw genetic data and other related information may be passed to researchers. The data and samples they collect and samples will only be used for ethically and scientifically approved research. You can opt out of the Global Research project at any time. Living DNA will analyze your DNA and information derived from it without linking it to your name. For this reason, it will not be possible for you to withdraw data that has already been analyzed in a de-identified manner (because it will not be possible to know which data stems from you). Living DNA offers two levels of withdrawal of consent. “No further contact” means the research team will no longer contact you directly, but would have permission to retain and use information and samples previously provided. “No Further Use” means any information and samples previously collected would not be available to researchers. MyHeritage has a DNA Informed Consent Agreement. To participate, you must check a box indicating that you are providing your consent to participate in the MyHeritage DNA Research Project. You do not have to participate in the project. You may withdraw from the project at anytime by contacting MyHeritage to advise them about your withdraw. They will cease using your DNA results in the project. 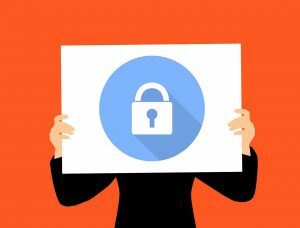 Due to de-identification of certain research information, any research or studies using anonymized or aggregate information that has already begun, studies that have been completed, and any study results or findings published prior to your withdrawal cannot be reversed, undone, or removed.